1. Which is a financial firm that accepts people’s deposits and uses them to make loans and investment? Answer: ‘The Italian word ‘banco’. 3. What is the meaning of ‘banco’? 6. Which is the advanced technological system that moves funds from one account to another without the use of cheques? 7. EFT includes five types of facilities and systems. What are they? Answer: 1. Automated Teller Machine, 2. Telephone Banking Systems, 3. Computer Banking Systems, 4. Automated Clearing Houses, 5. Point-of-sale Terminals. Answer: Cash machines or Cash dispensers. 9. What are Automated teller machines? Answer: Computer terminals at Banks, airports, shopping centres and many other locations. 10. What are the specialties of Automated teller machines (ATM’s)? 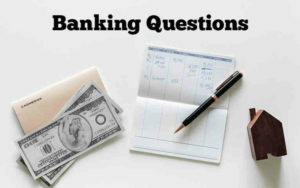 Answer: ATM’s enable people to do their banking at many locations at any hour of the day or night, seven days a week. 11. How Telephone-banking systems enable customers to pay bills and transfer funds from one account to another? Answer: By calling a special telephone number. 12. Which system also allows people to pay bills and transfer funds from one account to another at any time? 15. Which cards have one or more embedded computer chips that store information about the user’s bank balances and purchases? 16. During which period, many banks in Europe began to use electronic money? 18. Where did the large banking firms were established? Answer: Florence, Rome, Venice and other Italian cities. 19. How did the word bank come from the Italian word banco (benches)? Answer: Early Italian bankers conducted their business on benches in the street. 20. Which bankers had developed many of the features of modem banking?